Green, fresh leaves Common Beech / European Beech (Fagus sylvatica) against light natural background. Camera locked down. 1080 full HD video footage. hd00:11Defocused abstract nature background with green leaves and bokeh lights. 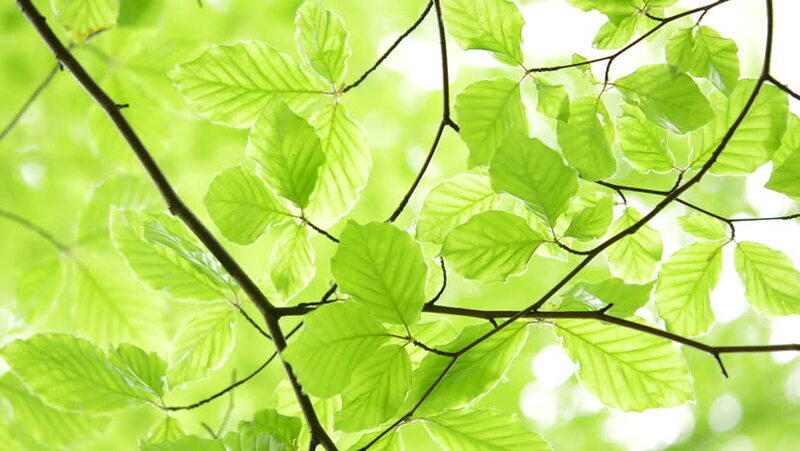 hd00:15Leaves with sunshine in the morning, fresh air and good for health.